A joint research project from Rice, the University of Texas MD Anderson Cancer Center and Northeastern University recently began its first preclinical study of a therapy that combines existing anti-cancer treatments that could target and destroy cancer cells while leaving surrounding organs undamaged. This “quadrapeutics” approach, as discussed in this week’s Nature Medicine online, could be as much as 17 times more effective than current chemoradiation therapy, especially in the treatment of highly aggressive, drug-resistant head and neck tumors. Noting that surgeons are often forced to resort to chemotherapy and radiation in order to entirely remove tumors that are intercrossed with vital organs, Rice researcher Dmitri Lapotko stated that this new approach addresses “cancers that cannot be efficiently and safely treated today.” Although chemotherapy and radiation are often effective for removing residual fractions of the tumors, some tumors endure these conventional treatments. It is expected that, rather than replacing existing cancer treatments, quadrapeutics will work along with conventional drugs in combined therapies that can effectively brush off of cancer cells. The therapeutic possibilities of this new approach are significant in that it enhances the effect of drugs at the intercellular level by remotely triggering tiny nano-explosions called “plasmonic nanobubbles.” These nanobubbles consist of non-stationary vapors that, responding to a short, low-energy laser pulse, detonate inside the cancer cells. They have the effect of a “mechanical drug,” securely removing radiation and chemotherapy-resistant cells that cannot be removed by surgical means. Laptoko had previously proven that plasmonic nanobubbles could be used in order to blow cells apart. Quadrapeutics is enabling the team to use the same technology to identify and kill cancer cells in three ways. These bursting nanobubbles greatly increase the local effect of chemotherapy and radiation in cancer cells that resist the initial explosion. Combined, mechanical cell destruction, intracellular drug ejection, and radiation amplification target cancer cells alone, while leaving vital healthy neighboring cells unharmed. Two clinically validated chemotherapy drugs have been tested as the first component of quadrapeutics: doxorubicin and paclitaxel. The scientists used encapsulated versions of the drug, tagged with antibodies designed to target cancer cells. 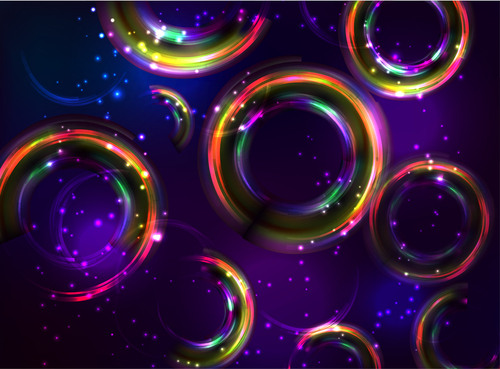 Due to the enhancing effect of the plasmonic nanobubbles, the intercellular dose is very high, even though the patient receives only a small percentage of the typical clinical dose. An injectable solution of nontoxic gold colloids — tiny spheres thousands of times smaller than cells — is the second component of the new therapy. Colloidal gold, which has been used for treating arthritis for several decades, is now tagged with cancer-specific, clinically approved antibodies, making then agglomerate inside cancer cells. These gold “nanoclusters” are inactive until a laser pulse or radiation arouses them. The third quadrapeutic component consists of a short near-infrared laser pulse, delivered to the tumor by an endoscope. Inside the tumor, the gold nanoclusters convert the laser energy into plasmonic nanobubbles. A standard surgical laser uses one million times more energy than this new technology. A single, low dose of radiation follows as the fourth component in the treatment scheme. The deadly effects of radiation are magnified by the gold nanoclusters, but only inside cancer cells. Only a small percentage of the usual clinical dose will prove sufficient to achieve the goal. In the Nature Medicine study, quadrapeutics was tested as a treatment against head and neck squamous cell carcinoma (HNSCC), against which it proved deadly for cancer cells. In fact, one single treatment using only 3 percent of the commonly-used drug dose and 6 percent of the average radiation dose effectively eliminated tumors in mice within one week of the administration. HNSCC is an aggressive and lethal form of cancer that had grown resistant to both chemotherapy drugs and radiation. Lapotko, who specializes in biochemistry and cell biology, as well as in physics and astronomy, is working with a team of researchers at MD Anderson and Northeastern. Their goal is to prototype and start a human clinical trial. Although the current study addressed head and neck tumors, Lapotko said this technology is potentially universal in the treatment of other solid tumors, such as hard-to-treat types of brain, lung and prostate cancers. Moreover, its safety could make it a preferred means in the treatment of children. This study was co-authored by Rice research scientist Ekaterina Lukianova-Hleb, MD Anderson researchers Xiangwei Wu and Xiaoyang Ren and Northeastern researchers Vladimir Torchilin and Rupa Sawant. The research was funded by the National Institutes of Health, the National Science Foundation and the Virginia and L.E. Simmons Family Foundation.